Wildlife photography is exasperating, challenging & incredibly satisfying. 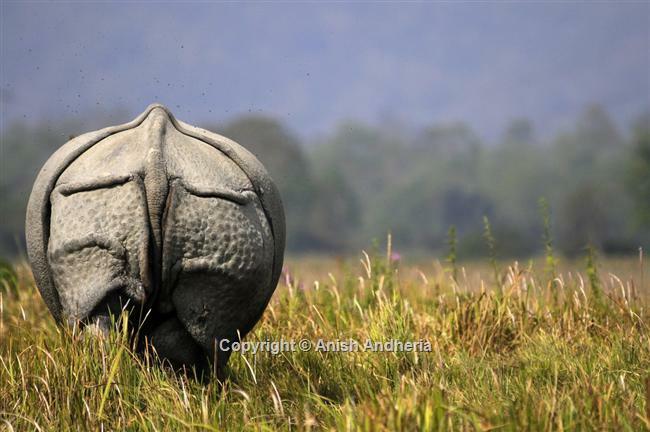 Wildlife specialist & photographer Anish Andheria shows us how it’s done. ESCAPE TO VICTORY: Forest degradation and fragmentation has caused a steep rise in man-animal conflicts across India, and the Sundarban is no exception. When tigers enter villages in search of livestock or people enter tiger forests to catch fish or collect fruit, firewood or honey, they come face to face with each other, leading to losses on both sides. Each year, the forest department traps many tigers from villages on the fringes of the forest and releases them deep inside the core. 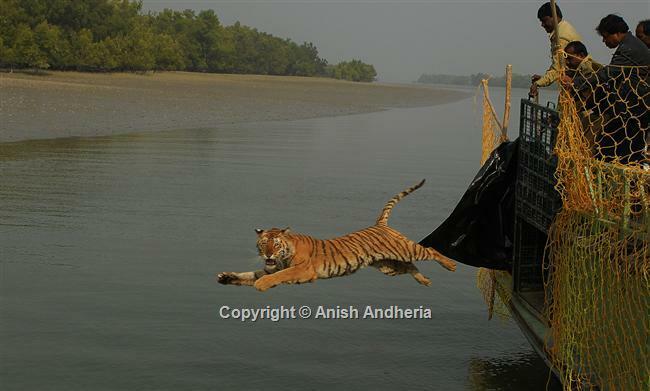 The forest department sets up camera traps and anticipate the tiger‘s movements. Once they capture it, they hold it for a few days to inspect it for injuries before releasing it into the wild. This picture captures the exuberance on the face of a tiger tormented by the villagers and then caged for four to five days. Being in the right place at the right time means everything to a wildlife photographer. Camera: NikonD200; ISO: 160; Exposure: 1/500 sec; Aperture: f 5.6; Focal length: 28mm. HIDDEN MESSAGES: Over the years, I have learned to read jungle signs, and while most people whiz through wildernesses disappointed that they saw ‘nothing’, I have never once experienced the forest as anything but extremely busy. A thrill a minute is the order of the day, provided you can read the hidden messages left behind by the wild denizens, either on sand or bark or leaves. The impression of the snout and the large neck-scales of a gharial on a river bank communicated the fact that a sub-adult individual was basking at this spot a few minutes before I got there. 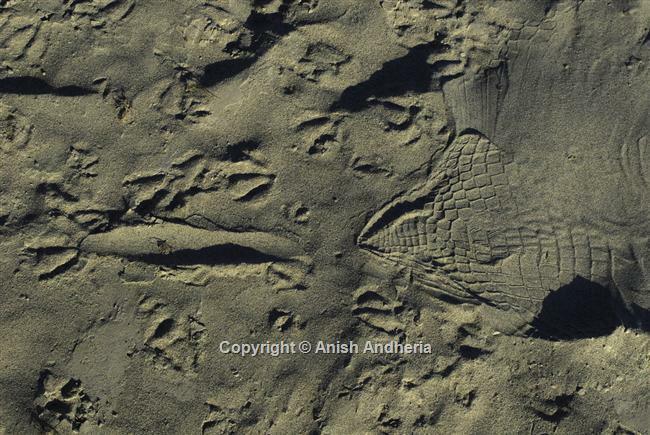 The slanting late-evening light accentuates the prints of both the reptile and the birds that may have used the same space at different times. Camera: NikonD200; ISO: 100; Exposure: 1/320 sec; Aperture: f 9; Focal length: 34mm. 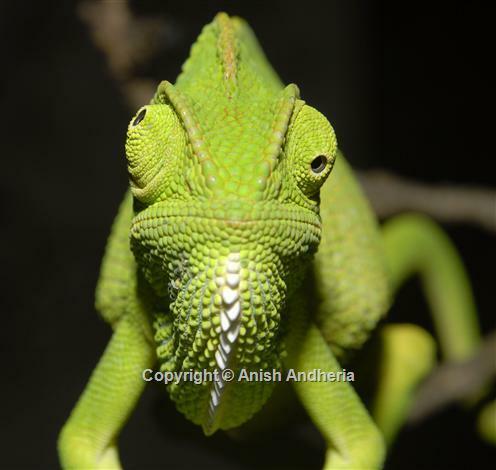 NATURE’S MASTERPIECE: Arguably the most spectacular and well-adapted organism on our planet, the chameleon has eyes that can rotate almost 180 degrees in their sockets and can focus on two separate objects simultaneously; a sticky tongue, larger than its body length that can be launched towards an insect with lightning speed; a prehensile tail that can act as a fifth limb, and a unique ability to change colours. While the side profile of the animal is very attractive, an in-the-face angle was used to emphasise its unique vision. 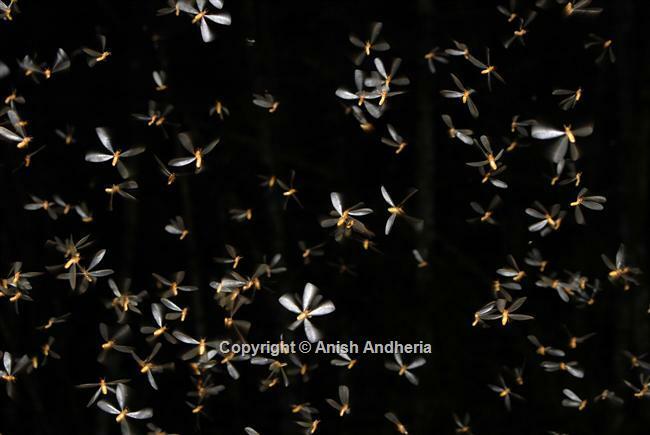 The light from the flash allowed a greater depth-of-field and separation of the animal from its surrounding. Camera: NikonD200; ISO: 125; Exposure: 1/80 sec; Aperture: f 11; Focal length: 105mm; Flash: SB 800. ELIXIR OF LIFE: It is always tricky to measure exposure when photographing into the light. 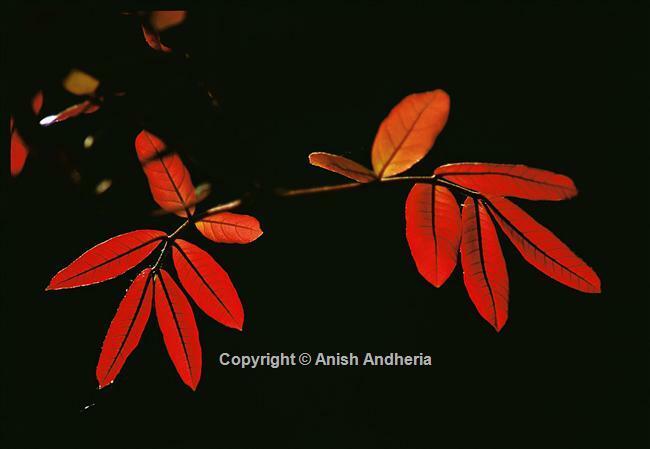 This backlit Scliechera oleosa leaf proved to be no exception. In order to ensure a meter reading that would not be influenced by the dark background, I changed to a longer focal length of the zoom lens so that the leaves filled the viewfinder. Then, after taking a light reading and calculating the exposure, I changed back to the original focal length and took this photograph. Camera: NikonF90X; ISO: 100; Exposure: 1/750 sec; Aperture: f 8; Focal length: 160mm. GLADIATOR: Because one-horned rhinoceroses are large, you can keep relatively long distances fairly easily in order to include both the animal and its environment in the picture. Avoiding a head-on tight portrait of a rhino requires discipline because most photographers have an almost overwhelming urge to fill the frame with their subject. By choosing to use a non-conventional perspective, I was able to highlight the armour-like, highly-textured skin of this male rhino along with an accompaniment of parasites and flies that are so integral to the animal’s immediate environment. Camera: NikonD300s; ISO: 100; Exposure: 1/1250 sec; Aperture: f 5.6; Focal length: 400mm. PROTECTORS OF EDEN: Foot patrol is extremely important for protection of our wildernesses. The forest guards brave tough living conditions, threats from poachers, loggers and even from wild animals to selflessly guard the ecological foundation, which in other words, means the economic security of India. 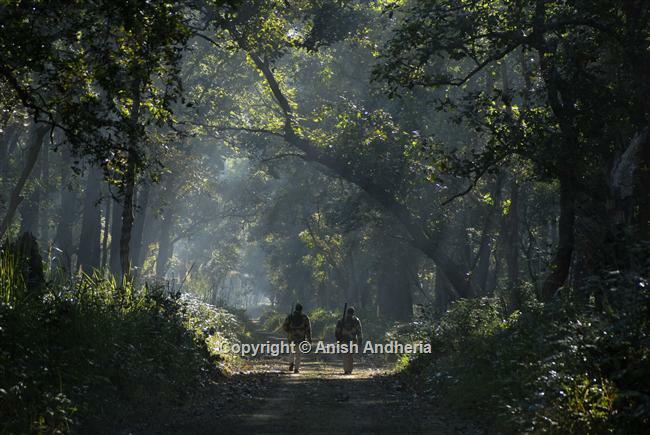 This photograph of two guards on a misty winter morning with dappled sunlight penetrating through a towering forest and illuminating parts of the road underneath reiterates the herculean effort put in by these unsung heroes. Camera: NikonD200; ISO: 100; Exposure: 1/80 sec; Aperture: f 5.6; Focal length: 105mm.